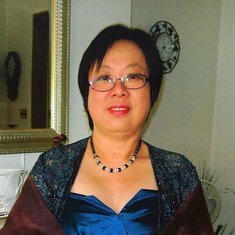 In loving memory of Lyn Tung Lum Ooi who sadly passed away on June 16, 2017. For those who wish to donate in her memory, please contribute to the neo-natal special care baby unit where Lyn served for over 30 years. Please make cheques payable to Croydon University Hospital charity fund, C776. Lyn Ooi was born on December 30th, 1957 in a small village in Penang, Malaysia and was raised together with her two elder sisters. 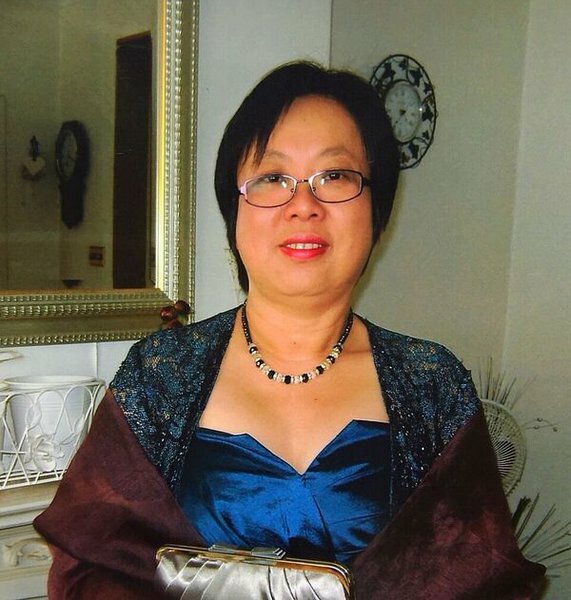 Growing up, she attended an all girls school and participated in the girl guides, before leaving Malaysia at age 20 to pursue a career in nursing in England. Her family is very proud of her accomplishments and the beautiful life she created in Croydon. Lyn was a proud Aunty to four nephews and one niece, and the Godmother to two beautiful girls. Lyn has touched the hearts of all those she has known. She loved and valued each and every one of you and would not want you mourn for her loss, but rather to celebrate her life and all of the memories you’ve shared together. May Lyn rest in peace. Amen. You'll be missed by all of us. Thank you for your friendship. It has been a privilege to have known you. Rest in peace. You are now with Our Loving Father. Dear Lyn - a steadfast woman of God. You will always be remembered for your kindness, generosity, thoughtfulness and compassion towards others. Enjoyed our group trips to France, Madeira and Seville..sightseeing, eating, shopping and chatting. I have the fondest memories of Lyn, when I first joined CCC she was always giving patental advice and tips as my children were very small at the time. Her commitment to her job went far beyond 'her place of work' and for that I am sure many of us are grateful. Lyn always had a lovely smile on her face and always had a story to tell ?. Lyn may have left us but I rejoice that we will meet up again one day and she will never be forgotten. Mohan and I got to know Lyn through Linda when they brought my Mom to listen to healing and evangelistic meetings. After my Mom passed away, we eventually became friends and Lyn wanted to jog & walk the dogs with us!Well, we will now miss her company instead remember Lyn fondly, till we meet again. I'm saddened to hear of your sudden passing for you will be missed by all those who knows you for your empathy, generosity and kindness. I will always remember you whenever my Hoya plants blossoms for it was you who introduce it to me when I first meet you in Nurses Home in Croydon. RIP LYN. Lyn, you will always be remembered for your kindness, hospitality and cheerfulness towards others. Your patience and thoughtfulness to those in need and during your time of illness, your steadfast faith in God. Now you are in the presence of God, forever in eternity! No more pain, no more suffering! Rest in peace, dear Lyn. Lyn and I met in Croydon during our midwifery training in the early 80's and our lifetime friendship began with our common bonds of busy professional life and our strong faith and love of the Lord Jesus. We became good friends and sisters as we lived a few doors apart from each other and I will always treasure the countless memories of sharing good food fun ,fellowship at church events and just 'hanging out' with her and her friends. A truly meaningful and stable friendship that can never be replicated. I give thanks for her life, for her kind generous wise and shining spirit. Her positive courage and brave attitude in the face of her challenges, is an inspiration to me. I shall always love and miss her dearly. This is not goodbye, it is only a brief parting -till we meet again. Rest in peace Lyn. The news of Lynn's death came a massive shock as I had no idea of her illness. I am still trying to come to terms with this as I write. As many people would testify, Lynn was a great woman of God. She loved God with all her heart and she served Him whole heartedly. I am sure she has definitely gone back to her maker and is at peace with God. Lynn was gentle, hard working, friendly, dedicated and humble. Her middle name could easily be CONSISTENT. My family and I moved out of England a few years ago. One of the highlights of my return is going back to Croydon Community Church to worship. This is where we met Lynn about 18 years ago. It is always lovely to see everyone and to have a quick catch up with them. Now, this experience will never be the same again with Lynn gone. Lynn and I were in the same 'house group fellowship' for quite some time, we hosted the group because we had a young family at the time. What a joy the whole experience was with Lynn, Anne, Hazel, Flavia and Graham and the Olusanyas. I believe this is Lynn's time to sleep. It was a real pleasure to have met this great woman of God. Adieu Lynn, enjoy your time with the angels and God. Lyn Now that you have gone I find it hard to believe and pictures of your gentle smiling happy face kept popping into my mind. Even though we have met only a handful of times you have touched our lives in a beautiful way.It is a priviledge to have known you. You will be taken care of as you have generouly taken care of others. Rest in peace. LYN . MY LOYAL , DEPENDABLE FRIEND I WILL MISS YOU VERY MUCH , BUT I KNOW SOMEDAY WE WILL SEE EACH OTHER IN HEAVEN, THANK YOU FOR BEING MY FRIEND ON EARTH. May you rest in peace Lyn. Condolences to your family.